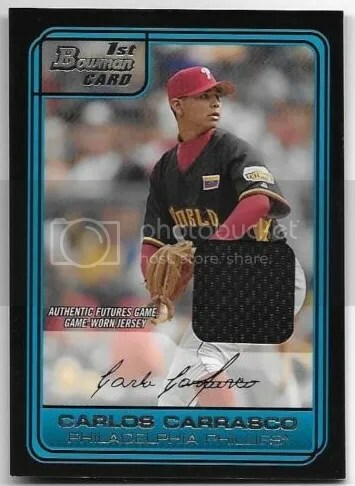 Congrats to Nick M on being the lucky winner of the Carlos Carrasco 2006 Bowman Draft Picks & Prospects Futures Game Jersey. Once Nick M sends me his mailing address, I will ship this card ASAP. Thanks! 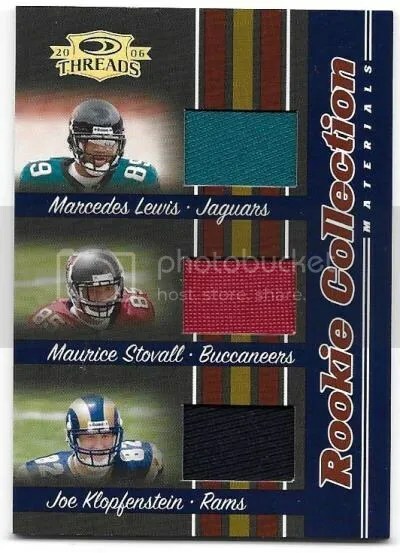 Congrats to Louizz on being the lucky winner of the Marcedes Lewis/Maurice Stovall/Joe Klopfenstein 2006 Donruss Threads Rookie Collection Materials Triple Jersey #’ed/500. Once Louizz sends me their mailing address, I will ship this card ASAP. Thanks!